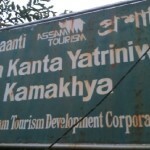 There are no star hotels located on the Nilachal Hill on which Kamakhya Temple is located. 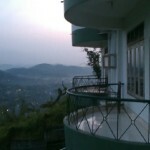 However there are several 1 to 5 star hotels in and around Guwahati offering a Luxurious and pleasant stay to the guests. 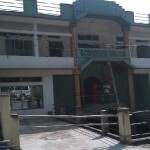 Hotel Brahmaputra Residency: It is a fine offering which offers a range of facilities for a comfortable stay. Internet, 24-hour front desk, laundry, parking, 24-hour security and catering services are the essential services provided by the hotel. Guests can also enjoy leisure moments at the gym and health club while the conference rooms are perfect for business meetings. Hotel Brahmaputra Ashok: The hotel offers a range of very spacious rooms and suites all equipped with air-conditioning and providing the level of comforts essential during a business trip or break. It is located in a peaceful and pollution free environment on the banks of Brahmaputra river overlooking the “World’s Smallest Inhabited Riverine Island – The Umananda Island”, the earthy abode of Lord Shiva and Parvati. Hotel Ambarish Grand Residency: It is a three star reasonable budget hotel. Hotel Hornbill 3 star deluxe hotel, Hotel Hornbill offers a wonderful blend of luxury and warm hospitality. Hotel Hornbill is an ideal option for those looking for comfortable accommodation at reasonable rates. Hotel Landmark The Landmark Hotel in Guwahati is a luxury accommodation in the city and has all the necessary arrangements to make your stay a really warm and cozy one. 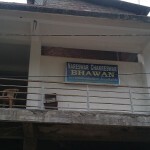 Hotel Parashuram: It offers to its guests a range of modern comforts and gratifying hospitality. The banqueting facilities of the hotel make it perfect for various social and corporate functions. The food dished at the in-house restaurant, Upasana, is made of fresh ingredients. This elegantly designed restaurant also provides customized dishes. Hotel Rasmataaz : HOTEL Rasmataaz is located in the city’s commercial hub. It’s situated 23 Km from the airport, 3 Km from the railway station & 2 Km from the state capital on the Guwahati Shillong road. The grandeur and magnitude of the mountains, emarelled green valleys blossoming with most vibrant flora, gushing white waters, ultimate topographical bliss. North-East and the valley Guwahati’ on the banks of river Brahmahputra untarnished situated in the eastern Himalayas . Hotel Rialto: At Hotel Rialto they have a total of 34 rooms in standard, deluxe and executive categories with state of the art security system in place. Each room has facilities like Air conditioning; Bath/ Shower, Color TV with satellite channels; Doctor on Call, Direct Dial Telephone, Laundry service and Capsule Lift service is available. Hotel is fully secured with modern surveillance system. Prag Continental : It is an exclusive 3 star business hotel snugly nestled in the heart of Guwahati city. It offers finer points of hospitality and grandeur spacious rooms designed for first-class living and perfect for an extended stay in Guwahati. Rains Inn: It is situated in the heart of Guwahati at Paltan Bazar.It provides an elevated standard of style, contemporary design and decor. The state-of-the-art technology, eco friendly material and amenities for commerce, leisure and relaxation makes our hotel in Guwahati an ideal choice for patrons, guests and travellers whether on business, leisure or holidaying. 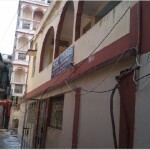 Vishwaratna Hotel : It provides the perfect mix of luxury at an affordable price. Equipped with all star facilities including spa & salon, multi-cuisine restaurant, lounge bar, coffee shop, and a rooftop swimming pool, this hotel provides spacious and luxurious rooms for all business and leisure travelers.